This publication emanates from an exhibition by the same title, displayed for the first time at the Alliance Francaise de Delhi. 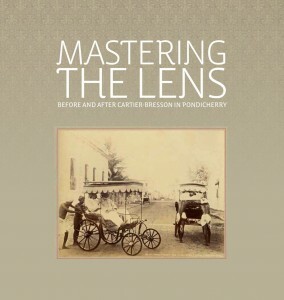 It is an attempt to trace the development of photography and the other allied visual arts in Pondicherry spanning the late 19th and early 20th centuries. Drawn exclusively from the Alkazi Collection, at the core of this initiative is the un-published album by renowned photographer, Henri Cartier-Bresson, co-founder of Magnum Photos, who visited the Aurobindo Ashram in April 1950. He took the last pictures of Sri Aurobindo Ghose in the company of his spiritual companion, ‘the Mother’. In addition, he meticulously penned his observations almost daily, creating a meta-text around the images, which presents a biographical and anecdotal supplement for his photographic endeavour. The visual material is further enhanced by some extraordinary images of Indian practitioners from the same period such as Tara Jauhar and Venkatesh Shirodkar at Aurobindo Ashram, published here for the first time. For many centuries, artists had been traveling to Pondicherry to document it’s serene vistas – an amalgamation of Christian and local elements in architecture, as well as the urban sprawl. Antiquarian maps from the 18th and 19th centuries further reveal an intricately Europeanised town, though segregated between Europeans and Indians, featuring a shared use of motifs and style. The arrival of commercial photographers Bourne and Shepherd, or indeed mysterious French photographer C. (possibly Charles) Moyne brought forth an expansive city of citadels and churches, with broadening boulevards lined with trees. 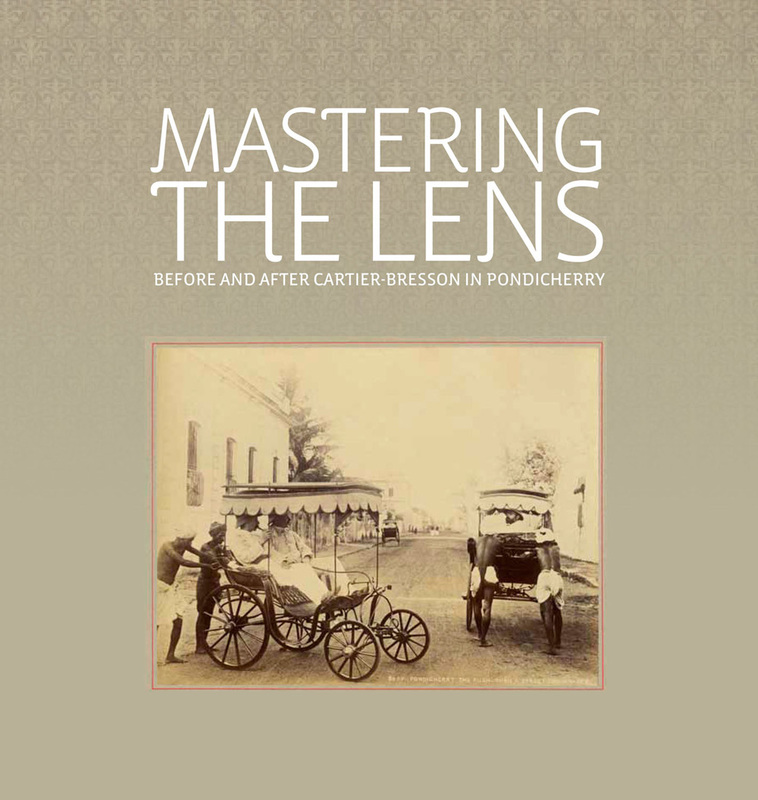 In this catalogue a conscious effort has been made to bring out a non-linear, yet credible history of how Pondicherry has been witness to the development of a unique visual trajectory. The use of images as ‘evidence’ and ‘document’ create a subtle interplay between cultural context and artistic intent, a conceptual linking of mannerisms and tropes – those of landscape, architectural and portrait photography. Shilpi Goswami is the Archivist for the Alkazi Collection of Photography, New Delhi. She has an M.A. in Museology from the National Museum Institute and has conducted heritage workshops and outreach programmes. She is currently pursuing her Ph.D.
Deepak Bharathan was a Research Scholar at The Alkazi Collection of Photography. He is a graduate in History from Delhi University, and has done a Masters in Museology from the National Museum Institute, New Delhi. He was earlier Curator at the H.H. Maharaja Sir Jiwajirao Scindia Museum, Gwalior. He worked as an Intern at the International Dunhuang Project, The British Library, UK. His interests include museum and archival studies.